Donald offered a practical and workable approach to business ethics principles and behaviors. I had expected the subject would be difficult to communicate, but Donald made it seem easy and he kept it interesting. I highly recommend Donald's business ethics presentations. Donald’s work as an organizational consultant helped our division identify, frame, and develop actionable solutions to advance leadership development opportunities for our students. His positive and amicable approach to facilitating group process created a strong sense of ownership among our leadership focus group and his keen intellect challenged us to think beyond our preconceived limitations. Perhaps, most impressive was his ability to synthesize our ideas and suggestions and report them back to us within a framework that kept the momentum going even when the focus group was unable to meet on a regular basis. Without Donald’s expert assistance, I anticipate we would still be talking about how we might best proceed to enhance leadership development for our students. Because of his excellent work, we are now putting our ideas into action. He is an exceptional consultant and I look forward to working with him on future projects. Donald led the strategic planning session for our company over a two day period. Given the tight timeline Donald was masterful at managing the time and results of the meeting, ensuring goals were met as determined prior to the start of the meeting. Given Donald's diverse background, he was instrumental in developing our vision, mission, and values for the company. Donald is tremendously skilled in meeting facilitation and ensuring results are attained from the time spent in planning. James Blake, President and CEO, West Texas Printing Company, Inc.
Donald has provided business consulting services, including strategic planning, problem solving, and other related services to our firm over the past year. His work has included assistance in the development of Mission, Vision, Values, implementation of a strategic planning process, and assistance creating cross-functional teams. Donald has a keen understanding of business needs and how to energize teams and set them on a good course. His work is having a major impact on the performance of our company, and I highly recommend his services. Donald McLachlan, from SilverQuest Consulting Group, has provided practical, productive consultation for my business, Click Computers, over the past three years. Knowledge of how to market my business, how to gain valuable information from my clients, and develop a core team of believers in my business helped us win the Small Business of the Year award through our local Chamber of Commerce. 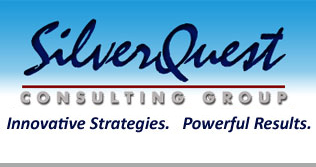 Our vision to expand and succeed is now clear, and I give credit to SilverQuest and Donald. Donald McLachlan was the main speaker at the annual Leadership Training Conference for Region 14 of the American Society for Quality. This event draws attendees from five states and northern Mexico. It is a key event designed to build leadership skills and introduce new leaders to concepts and ideas to make them effective leaders out of the gate. Donald kicked off the conference with a bang. His presentation was engaging and highly interactive. Donald's subject matter, "Leadership for Success" provided concrete practices actionable right now and thought provoking concepts for the future. Donald's discussion and group activities brought the audience into full participation. The enthusiastic response of attendees during his talk was proof of the value of his subject matter and approach. Our post-event survey elicited a strong positive response from a majority of attendees. These comments say it all: ". . . this Austin leadership conference is the best one I have attended in past five years (I have attended 3 others) . . . really good job . . . speakers were surprisingly good . . . better than expected . . . good value for prices . . . good documents too." We recommend Mr. McLachlan to any organization that needs help in educating, motivating, and getting the best from their members. I attended the 2007 Austin Human Resource Management Association Annual Conference at which I had the pleasure of hearing Donald McLachlan speak about the Power of Persuasion in business and influencing tactics. Donald's presentation was incredibly articulate and refreshing. He immediately drew the audience in and captivated them with his insights and experiences about the subject. Donald gave valuable information that every attendee could find useful, and his humor put everyone at ease. I had the opportunity to speak with Donald after the conference and was impressed by his engaging personality. He truly is an outstanding communicator, and I would welcome the opportunity to hear Donald speak again. Donald McLachlan is one of the most talented persons that I have ever met. His attention to detail is unrivaled while his compassion and commitment to people is unquestioned. He is without question one of the most intelligent persons I know, and he can help your organization improve their processes. I do not hesitate to contact and confer with Donald on difficult issues in my international consulting business. I first became acquainted with Donald McLachlan when I attended one of his business ethics workshops. It was offered as a professional education event by the University of Texas Professional Development Center. I admired his knowledge of the subject and his presentation style. He offered a practical and workable approach to business ethics principles and behaviors. I had expected the subject would be difficult to communicate, but he made it seem easy and he kept it interesting. I highly recommend his business ethics presentations for seasoned business executives as well as newly initiated business persons. I first heard Donald speak at the Region 14 American Society for Quality (ASQ) annual Leadership Training Conference hosted last summer in Austin, TX. His presentation was the first on the morning agenda and was delightfully entertaining, engaging, and motivating. After completing his presentation, I was extremely pleased that Donald was willing to accept my offer to speak at the Dallas Section dinner meeting in September. Not disappointingly, Donald engaged and entertained the dinner audience by explaining how to "Leverage Personality for Success." Not only was it a learning experience, since Donald included a self-assessment exercise during his presentation . . . the evening was filled with laughter and enjoyment. As a direct result of a very satisfied audience, four members of the audience stepped up to volunteer their time and skills to the Dallas Section ASQ. They are enthusiastic to volunteer their time to be a part of something enjoyable, fun, and educational . . . Thank you, Donald! Donald has guided our company through a planning process. He is very well-read and knowledgeable about the science and current developments of business strategy planning. His discernment and practical ability to apply strategic concepts have added great value and been very helpful to move us to end results faster than would have otherwise been possible. Donald is very organized within the classroom and well liked by the graduate students he teaches. Many students have stressed the in-depth knowledge and skill Donald has in negotiation. The students continue to discuss Donald's teaching style and the amount they learned within his course. I have had specific requests for Donald to teach the negotiation courses in the future. I would highly recommend Donald for other teaching opportunities. As a Volunteer at the 2007 Austin Human Resource Management Association Annual Conference, I had the privilege of serving as Donald McLachlan's speaker buddy. Not only was I impressed with his character and professionalism during our interactions, I found his presentation style genuine and engaging. Of the several concurrent sessions offered at that particular time, Donald's was the best attended. Not surprising--his sense of humor kept the audience engaged. His enthusiasm for his topic truly shone through. Personally, I took away several new and practical action steps to use in my work, and as a veteran seminar attendee, it was refreshing to gain new insights! Donald's outstanding presentation reflected well on our organization and added strong value to our conference. There are few times in life we are privileged to meet, work with and call friend, individuals of outstanding knowledge and high integrity. Donald McLachlan is such a person. I have known Donald only a few years but from the initial meeting it was clear he is highly knowledgeable about organizational improvement in general and the Baldrige Criteria in particular. Donald is a straight-shooter, calling the situation as he sees it, and without any intention for personal gain he identifies the best path to advance people and organizations. I strongly encourage anyone interested in creating a sustainable organization to take Donald’s advice and employ his skills to begin a real journey of improvement. Donald McLachlan worked with the WBA to provide various research and development projects. His work was thorough and well researched. Many of the projects he developed continue to serve us well and have improved our level of service to our members. I was so impressed by Donald McLachlan's presentation at the AHRMA conference that I immediately asked him to speak to my Toastmaster's Club and he graciously agreed. I knew if I enjoyed his presentation, others would enjoy it as well. During his presentation, Donald was an engaging speaker who exhibited humor, enthusiasm, and expertise to impart the Principles of Persuasion. There was something valuable for each of us to learn regardless of our job level or profession. Donald's presentation captured the audience and inspired us to return to work and use the Principles of Persuasion to excel in our jobs. In addition, when Donald spoke of the Principles of Persuasion, he gave vivid examples we could each identify with to emphasize key points of his presentation. I definitely recommend Donald McLachlan as a motivational and educational speaker for a variety of audiences. I first met Donald some 4-5 years ago through Baldrige and we currently serve together on the UTCPE Advisory Board. Donald joined my network of independent Subject Matter Experts (SMEs) at TTC Consulting at the time we met. Donald is the consummate professional and brings integrity to all of his endeavors. I worked with Donald via TTC Consulting when I subcontracted with him to perform consulting services for Houston Community College. Donald was excellent in his delivery of the expected outcomes for HCC and in turn HCC was very pleased to have Donald as their consultant, Donald provided key consulting on strategic planning and staffing for HCC. The result was terrific performance management consulting that truly had actionable outcomes. I would recommend Donald for any performance management consulting involving strategic planning, staffing or leadership. Donald will work extremely hard to deliver what is needed to move your organization to the next level of organizational development growth. You can't get any better assistance than Donald, and I consider him a huge asset to the TTC network. Donald did a great job of teaching business law for us at UMHB as an adjunct instructor. Donald was well-liked by the students and is an excellent instructor. 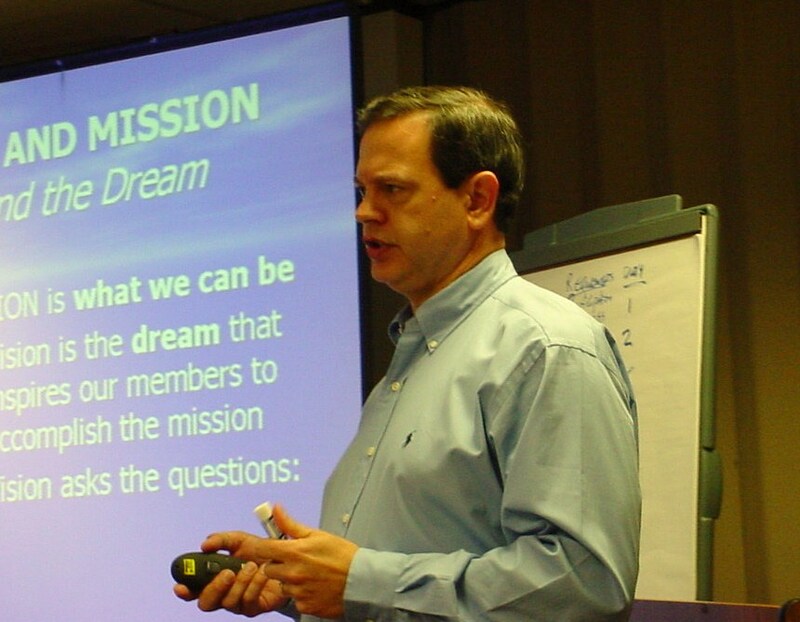 Donald worked and served at First Baptist Church, Georgetown, Texas as a strategic planning consultant. Donald worked diligently and successfully with our church and staff to create a strategic plan, a cooperative team spirit, and a coordinated strategy for the church. As a supervisor and co-laborer with Donald I found him to be a visionary, a good listener, a team player, and an excellent navigator of strategic planning. I highly recommend Donald to your company, church, or organization. Donald helped our organization define vision, mission, purpose and strategy for going forward. He is a real pro and I recommend him without reservation. Donald is fantastic to work with -- he is great with people and incredibly smart. I also appreciate that he's methodical in the way he approaches a problem. Unlike other consultants I've worked with, he defines a clear road map and process to follow, from start to finish, which makes it easy to understand what needs to be done.